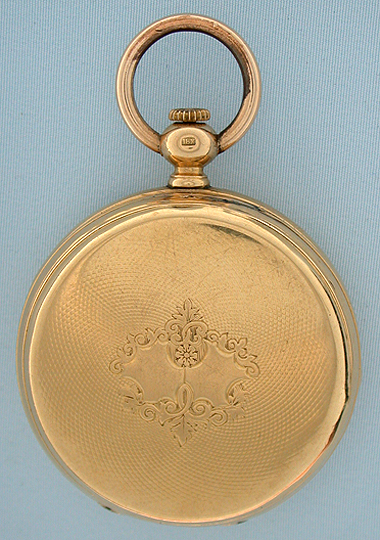 Unusual Swiss 18K gold cover wind antique pocket watch by Robert Theurer & fills, Chaux-De-Fonds circa 1880. 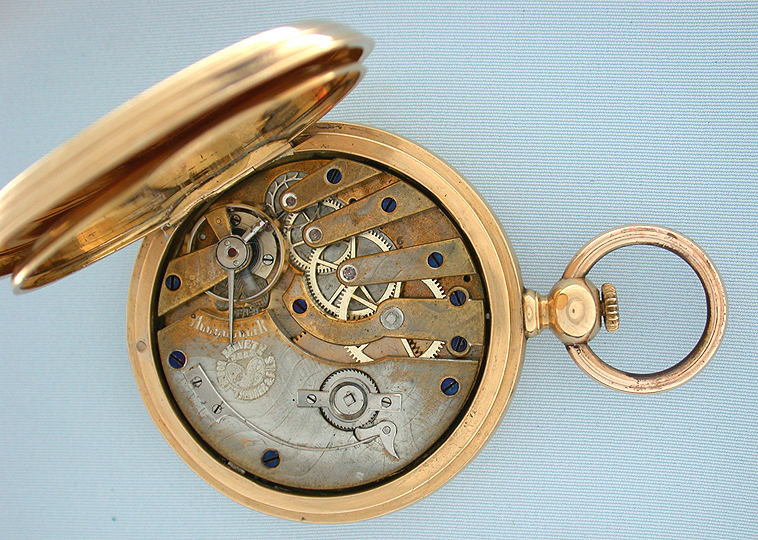 The movement is wound when the cover of the engine turned case is opened and closed. 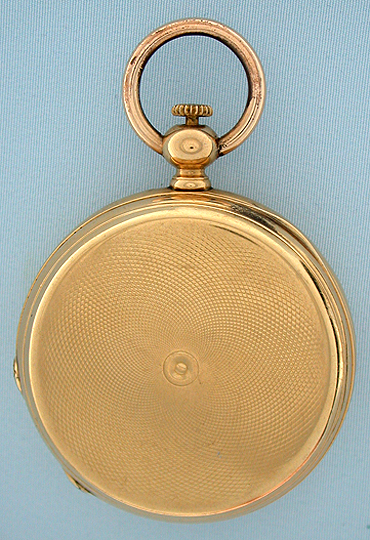 The time is set by the small crown in the pendant. Faded gilt 15 jewel lever movement. 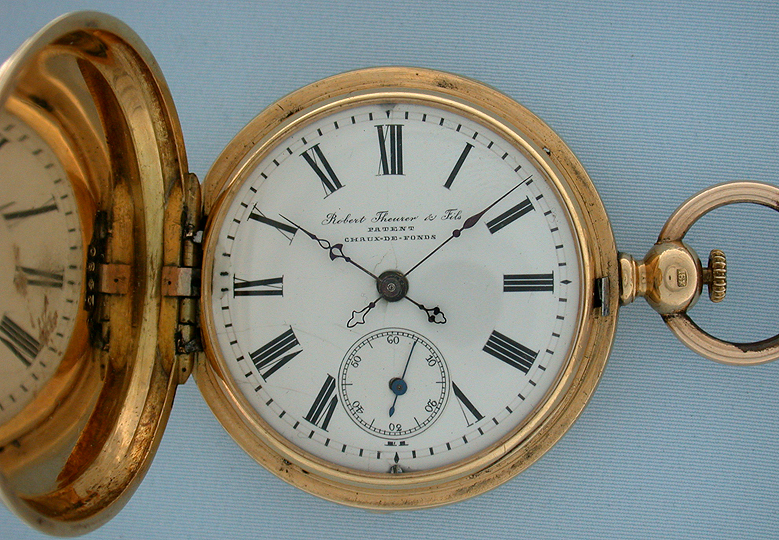 White enamel dial with cracks and repairs and blued steel hands.